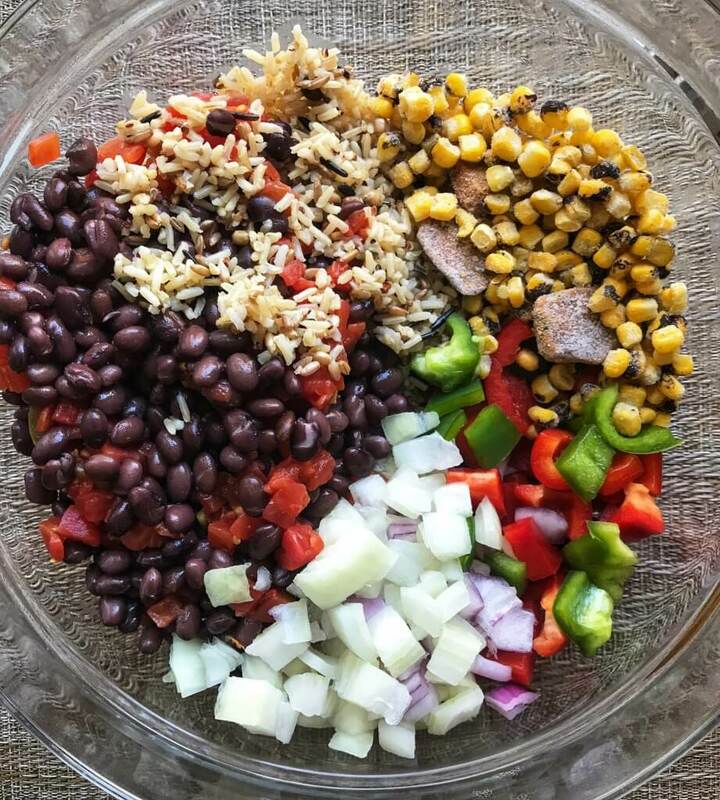 This At-Home Chipotle Burrito Bowl is one of the first recipes that I published on my blog back in 2015. I cannot believe it has been that long! Ever since I posted my Healthy Southwest Chicken Enchilada Bake, this recipe kinda fell to the back burner — no pun intended. 😉 I whipped it up again last night and now I’m a little sad that I haven’t been making it way more often the past few years! I forgot how delicious and easy it is. Ethan even boldly stated that he likes this better than the enchilada bake (which he has always loved), so this might be our new go-to Mexican recipe for a while. We tend to go through phases. Anyone else? I made a few changes to the recipe this time around, as I always do with my super old recipes. When it comes down to it, I think I’m just really bad at actually following recipes. 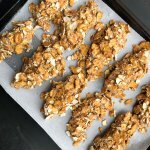 I’m constantly trying to think of ways that I could enhance things and make them just a little bit tastier or healthier. This time that meant adding in a whole onion and some canned tomatoes. You can never have too many veggies if you ask me! 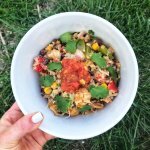 As the name states, this recipe has just about everything that you would find in a burrito bowl from Chipotle, but probably far less sodium. I swapped out sour cream for plain Greek yogurt, used low sodium (or no-salt-added) black beans, and I season the chicken with spices like garlic powder, chili powder, cumin and black pepper. It is still bursting with flavor! This recipe also makes 6-8 servings, and probably still costs less than one single burrito bowl from Chipotle. So not only are we well-fed for dinner one night, but we also have lunches for the next couple days. These are ALL of the things I look for in a recipe! Simple, healthy, delicious AND work lunch leftovers. Yaaaaasssss, please! 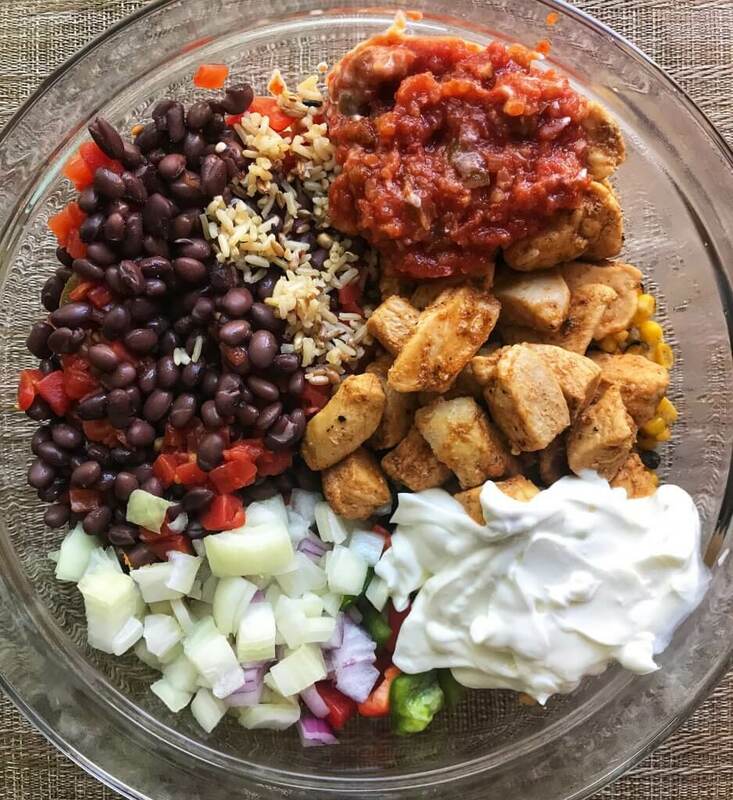 This At-Home Chipotle Burrito Bowl is a healthier & cheaper version of Chipotle that you can make at home, and enjoy for days! First, season chicken with garlic powder, chili powder, cumin and black pepper and cook in a skillet over medium-high heat. Cook brown rice. Transfer to a 9×13 baking dish (sprayed with non-stick cooking spray) and top with extra cheese if desired. Remove from oven and add desired toppings and garnishes. 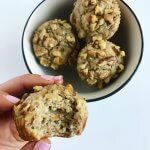 Serve immediately, or store in airtight containers in the refrigerator for up to 3 days. I want to see some of you whipping this recipe up in place of tacos for Taco Tuesday this week! As always, tag me @wellnessforthewin and hashtag #wellnessforthewin so I can see your creations, or pin this recipe on Pinterest so you can refer back to it!